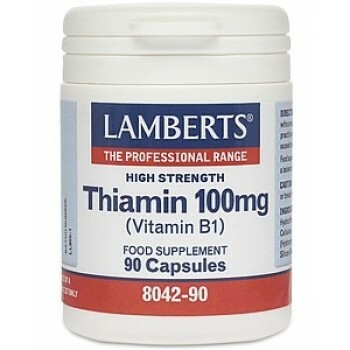 Thiamin, or Vitamin B1, is an essential nutrient obtained from food sources such as whole grains, pulses, nuts and seeds. Encapsulated With: Microcrystalline Cellulose, Capsule Shell (Hydroxypropyl Methylcellulose), Silicon Dioxide, Magnesium Stearate. Disintegration Time Less than 30 minutes. Daily Intake: 1 capsule .